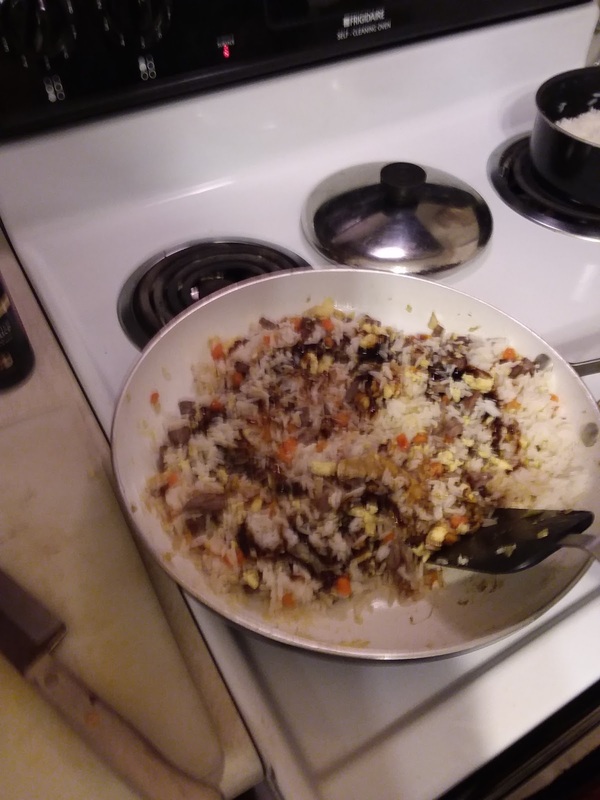 There are days where we don’t have any idea what to make, til we just combined a few ingredients to create this whole some Fried Rice. 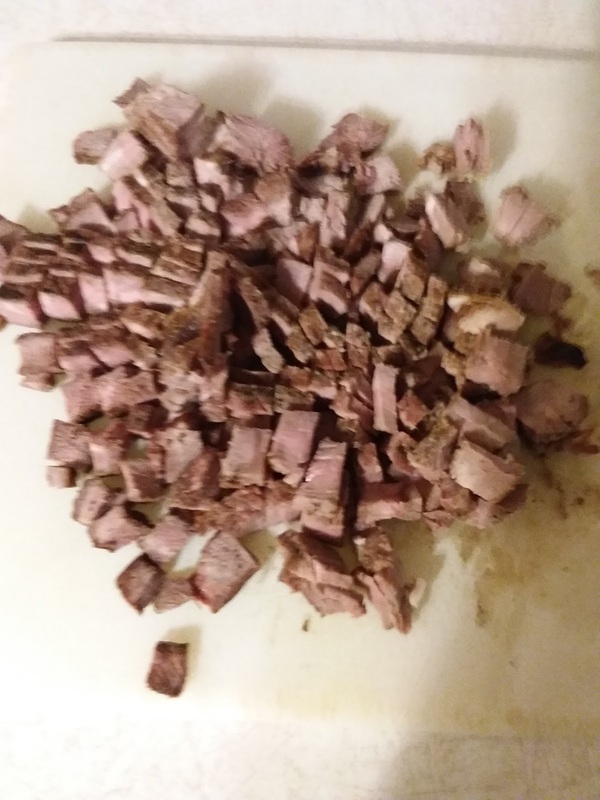 – Cut the roast beef. 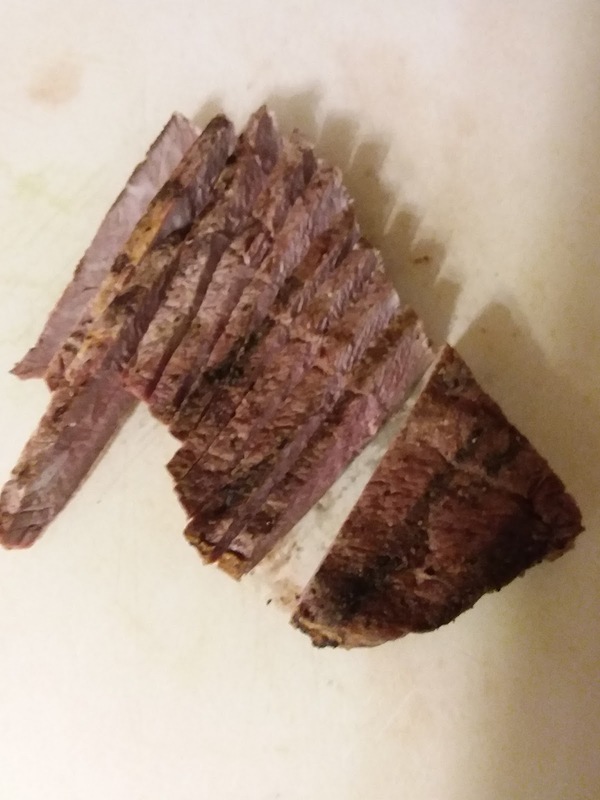 – Chop the roast beef. – Cook to cook to brown, set aside. 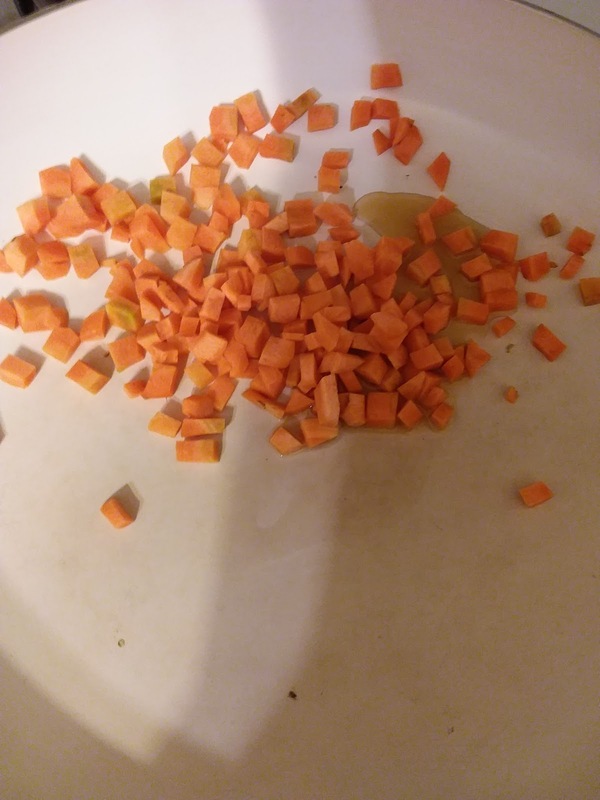 – Add carrots and onions to skillet and saute. – Add other vegetables and cook through. – Break and whip the eggs. – Add beef and vegetables together and cook. 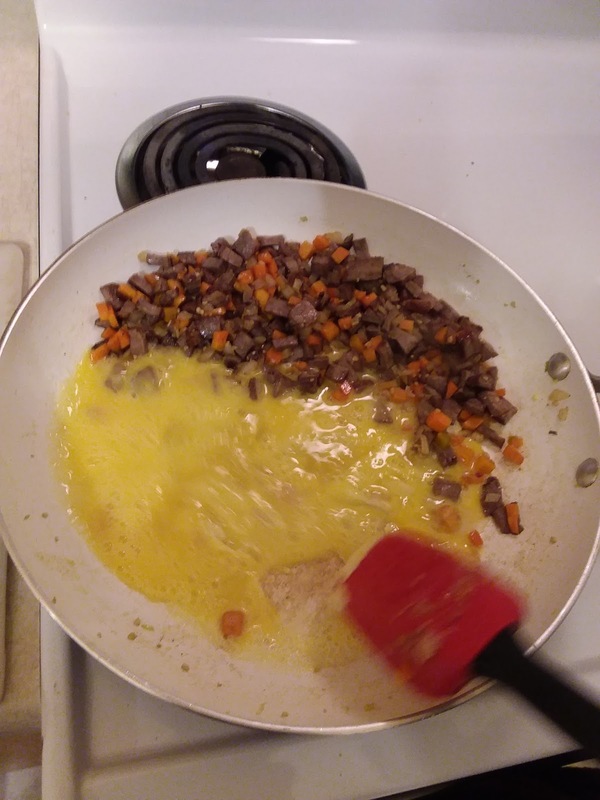 – Place vegetables and beef to the side of skillet and add the egg mixture. – Scramble till done, mix everything together. – Stir in the rice, mix well. – Add oyster sauce and soy sauce, mix in well. 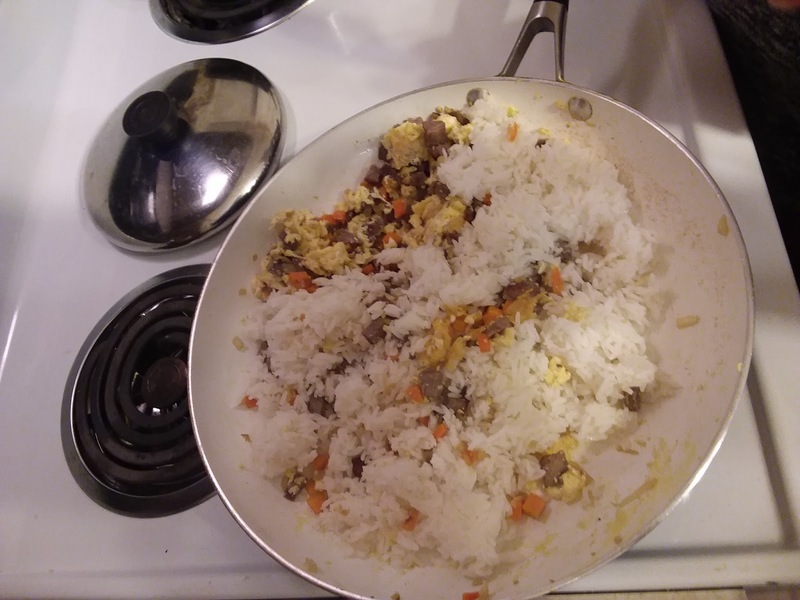 – I enjoy making Fried rice as there is no wrong way to make it. – I like adding garlic chili sauce and green onion to mine. 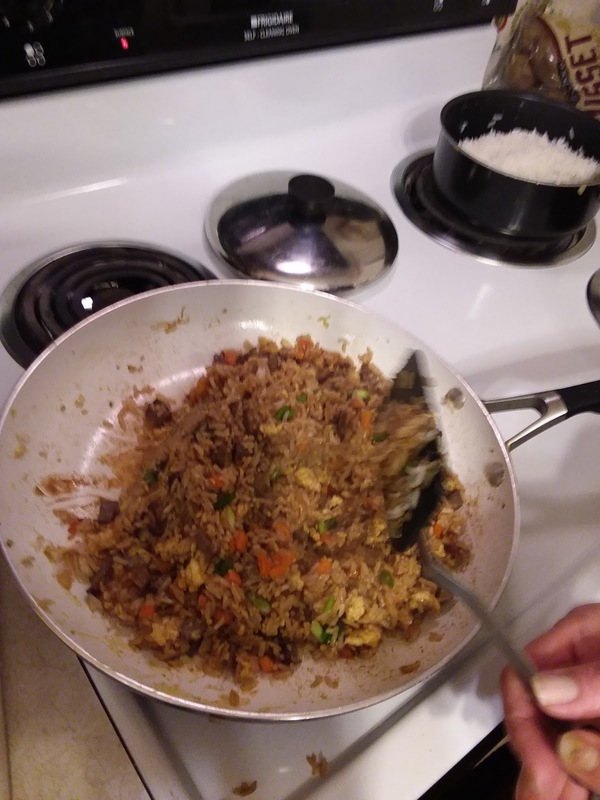 I usually make won tons to go with the fried rice. 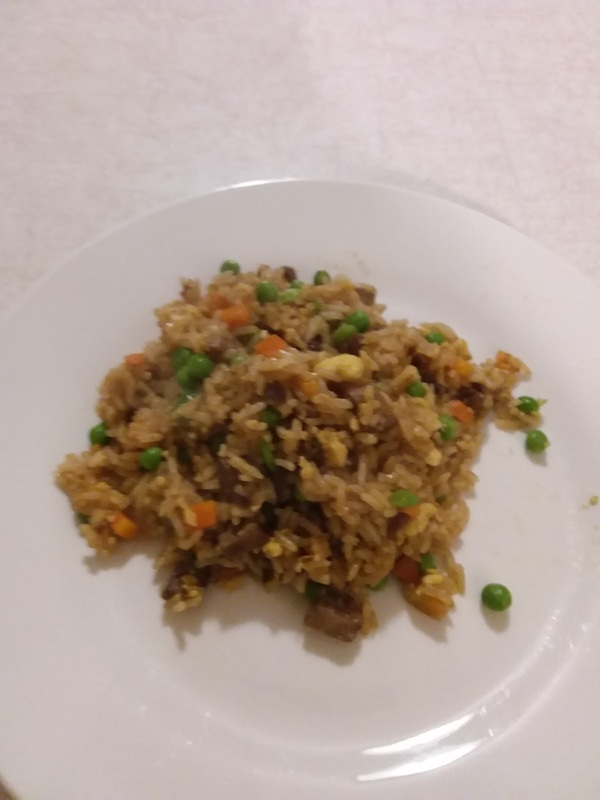 How do you like your Fried Rice? 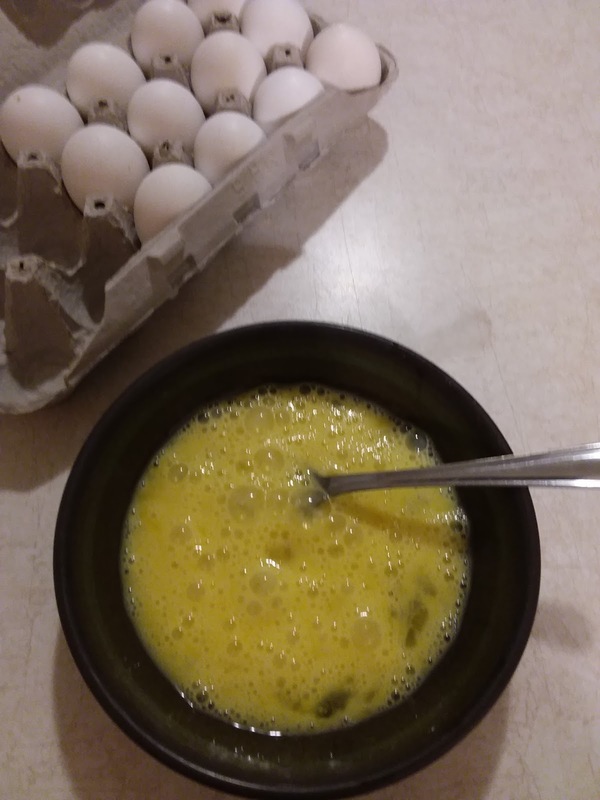 I just made this recipe and found it quick and easy. My husband thought it was great, too!